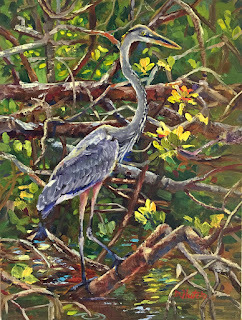 Here is a continuation of the steps I used to paint the Red Mangroves and Blue Heron painting. If you want to see the first steps, please see the last posting. I am now modeling the tree branches by layering in the light areas and adding some warmer green to the background foliage. There are more branches added over the green of the background. 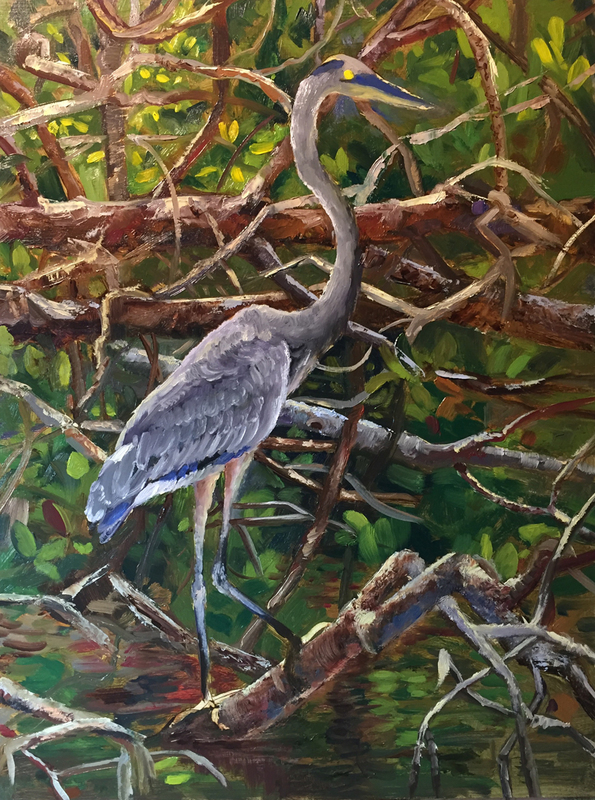 I have started to paint the feathers on the blue heron. 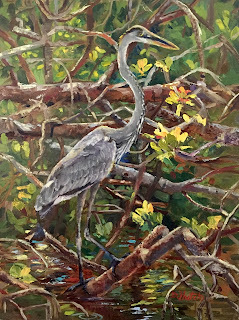 Some of the yellow leaves of the mangrove trees have also been added to the upper left background. Ok, I am almost finished with this painting. 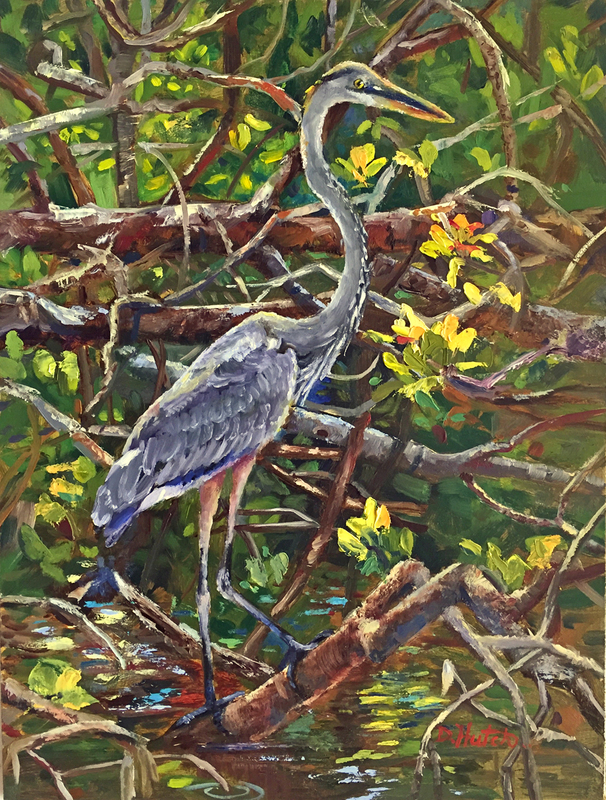 After stepping back and looking at the overall design I realized that the legs of the heron were too pink and were detracting from the beautiful mangrove leaves. so I repainted them grey. 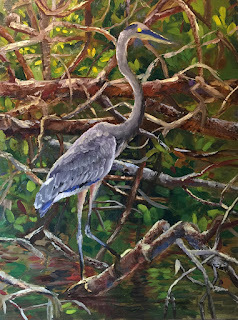 Here is the finished painting "Red Mangroves and Blue Heron". I hope you have enjoyed seeing the steps I used to create this 9" x 12" painting.